Property 4: UPDATED Oceanfront Condo with Awesome Views - Best View at Ocean Cove! Property 6: Wonderful condo at the center of Ocean Isle! Close to everything! 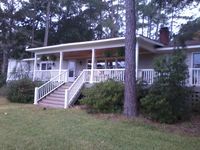 Property 12: Beautiful setting on the Intracoastal Waterway! Property 14: Perfect Location! Beautifully Updated Canal Home! Property 15: Ground level with handicapped parking and free WiFi. The place to be any season. Property 18: Beautiful and Beachy 4 Bedroom, 3 1/2 Bath Home With Access to Private Day Dock and Easy Beach Access! Property 19: Perfect Waterfront Location in Ocean Isle Beach! Property 20: Ground-level 3 BR condo beside pool. Golf, Pool, Tennis, and Family Fun. Property 26: Greet the Dolphins in Our Serene Ocean View Holden Beach Condo - Pool Too! LITTLE SLICE OF PARADISE !!! A short drive to The Beach!! Property 29: LITTLE SLICE OF PARADISE !!! A short drive to The Beach!! Property 32: Wonderful, Relaxing, Family Destination! 🏄🏼🌊⛵️⛱ 4BR/4BA condo in OIB! Beautiful second row Villa - closest walk to beach access, pool, and tiki bar! Property 37: Beautiful second row Villa - closest walk to beach access, pool, and tiki bar! Property 38: SUNSET BEACH Golf/Beach - RENTING FOR 2019! Property 41: Family friendly house with dock space available! GREAT VIEWS OF ATLANTIC OCEAN! Property 42: "The Turtle House" is a Bright and well appointed Ocean Front Home, 3 bedrooms & 3 baths with magnificent Ocean, Marsh and Intracoastal Waterway views! Property 46: Ocean Front, Newly Updated 3 Bedroom with Pool! I could not have asked for anything better. Nice and quiet home perfect for pets. The home is big enough for large crowds, 2 large bedrooms and one medium one, and a large kitchen and den and living room. We stayed for 40 days and it served us well. Richard worked with to get us in and we are very grateful for that. Hope to come back again. Nice location, quiet. Close to beaches and other attractions.